For a trusted company that provides the best array of wine tasting in London, in your own home or at any one of our many recommended venues across the capital, look no further than ThirtyFifty. Our variety of formats range from the entertainment based tastings, most commonly called upon for our hen and birthday parties, to the more informative sessions designed to supply you with a better understanding of wines from across the world. We are happy to point you in the direction of one of our commonly frequented venues for wine tasting in London, where you can use the opportunity to hold a more informal meeting with your clients. Our wine tasting events in London are a great way to break the ice with new customers, get to know them as people as well as clients and develop business in a natural way. They also serve as brilliant team building exercises between colleagues. We can even bring wine tasting to your offices in London if that’s more convenient and if you believe you have corporate objectives that are not already covered by our current hospitality packages, don’t be afraid to approach us and we’ll do our best to work something out with you. Whilst everyone gets to know each other better through light hearted challenges and the odd impromptu quiz, our wine tasting sessions in London teach you the principle elements behind the art, and you even get the chance to try blind tasting! You might be surprised by how much a person’s judgement can be clouded by knowing a wine’s particular price, colour or geographic origin. It’s always interesting to see what your guests really think of a wine. We find that when people try a wine they know to be expensive they nearly always claim to find it to have more desirable characteristics, but this is not always the case when they try it blind. If you prefer instead to use our wine tasting parties as an opportunity to catch up with friends, we have some of the most flexible options for wine tasting in London. We can make your event as educational or casual as you wish. With wine tasting becoming more infused in modern culture, we have adapted our wine tasting gatherings in London to include fun activities to get your guests talking, as well as supply you with useful tips to use next time you want to try something new. Most of us are well aware that it is best to store your favourite white wines at a lower temperature than more full bodied red wines, but not everyone realises the extent to which temperature can affect the taste of their favourite tipple. From our wine tasting sessions in London, you could find out something really helpful such as how lower temperatures emphasise the acidity of a wine, while higher temperatures bring out the aromatics. Essential information for all budding dinner party hosts! At ThirtyFifty, we also run regular courses for wine tasting in London and different locations across the UK that are open for anyone to attend. 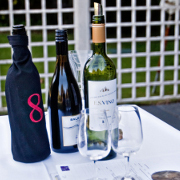 We also run regular wine tastings that you or a friend could attend. Below are our next four months of tasting events. Follow this link for a full list of London wine course dates. If you are looking to go out for your wine tasting we have worked with a number of venues in London and are happy to recommend a venue. The list below highlights our most popular wine tasting venues in London, to see our full list of venues across the country please go to our venues page.